It turns out investors are interested in central banking alternatives. Announced Wednesday, Basis (formerly known as Basecoin) has raised $133 million (most of which was reported last week in an SEC filing) in an initial coin offering (ICO), a round that featured an all-star cast of investors originally first revealed by CoinDesk back in October. But if that funding round sounds big, so too are the project’s ambitions with Basis seeking to offer a so-called “stablecoin,” or cryptocurrency that would maintain a stable price in what has proven to be one of the world’s most volatile markets. As such, Basis’s investors include some of the biggest names in crypto – Andreessen Horowitz, Bain Capital Ventures, Lightspeed Ventures, Google Ventures and others. “I think we were able to convert a lot of institutions into understanding the full scope of crypto more broadly,” Nader Al-Naji, the founder of Basis told CoinDesk. Some of those institutions haven’t even ever invested in a crypto token before. For example, Lightspeed Ventures made its first token investment ever with the Basis round. “I think the size of the opportunity is unique and the team is a very good fit for the problem,” partner Adam Goldberg told CoinDesk. Basis also convinced Bain Capital Ventures, the venture arm of Bain Capital, to make its first investment in tokens. Although, the $95 billion private investment firm has been interested in crypto since it invested in CoinDesk’s parent company, Digital Currency Group. Bain Capital Ventures led the round. Bain has supported al-Naji’s idea from the very beginning – alongside AngelList’s Naval Ravikant, the firm helped Al-Naji put together the project’s initial venture round last year. Stepping back, Basis is built on the idea that, fundamentally, central banks basically know how to keep a currency stable, but they tend to screw it up through human error. So Basis sets out to use the same operations that central banks use, but control them with software, not brains. Many other cryptocurrencies assure stability by backing their tokens with actual fiat currency, but this requires users to trust the entities that manage those currencies. Trusting someone else is risk, and crypto promises to create trustless payment systems where that risk isn’t inherent. Basis uses simple supply and demand to manage the price of its currency. When too many people want basis, the protocol increases the supply of the currency. It does the opposite when demand is weak. All of this is managed by software, not people — who might have ulterior motives or simply bad judgement. In fact, the pool of investors reflects an intimate familiarity with the behavior of national banks. In addition to the firms cited above, the round also includes some notable individual investors, such as Stanley Druckenmiller, who is known for watching the behavior of central banks and understanding their decisions alongside economic fundamentals. He worked alongside George Soros when he bet against the Bank of England and won. Kevin Warsh also joined the round. He served as an economic adviser to President George W. Bush before he was appointed to the Federal Reserve Board, where he served from 2006 to 2011. Warsh served on the Federal Open Market Committee during the 2008 financial crisis that many credit for inspiring the creation of bitcoin. The committee makes, as a group of humans, the same decisions around issuing bonds and retiring them that Basis is designed to make algorithmically. Valor Capital is an investment group focused on bridging the U.S. and Brazil. This connects Basis to Latin America, where it believes some of the strongest use cases for crypto might be found. An Alphabet’s venture arm, GV, connects Basis to some of the world’s best computer programmers. “That technical pool of talent and experience that GV has is going to be helpful,” Al-Naji said. GV declined to indicate whether this was its first purchase of a token pre-sale. 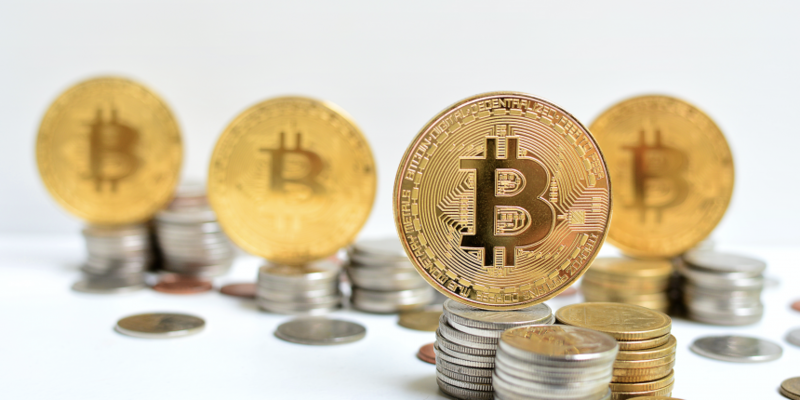 Basis will need that technical talent as it builds a set of products that it hopes will build interest and buzz that will lead to regular people using its new currency. Al-Naji said they will accomplish this by building new, compelling products that work with its token, but he declined to describe what these products will be, for competitive reasons. Still, if the aim is to reach the non-crypto economy, the products will need to fast, light and super easy to use, and all that takes a unique combination of tech skills. The idea of breaking into the consumer market was a big part of what enticed Lightspeed to take part. “A unit of account that could be leveraged for all crypto projects lets you remove one mental barrier for consumers,” Goldberg agreed. But Basis is not even close to the first project targeting that issue. We’ve recently covered MakerDAO, Tether, Saga, Carbon, Fragments, Stably and more. Emulating central banks on the blockchain is a problem Al-Naji tinkered with for years. The trouble he found with blockchains is that they don’t generally “know” what the price of their token is. Mostly, they just log trades. Then the idea of oracles started to emerge. Oracles are ways to get data about the real world, and the concept is critical to other projects as well, such as Augur. Al-Naji had been working on ways to help bring stability to bitcoin for years, alongside the fellow Princeton students who would become his founding teammates at Basis. Nothing quite did it until he discovered oracles. As we previously reported, Basis’s coin will initially be pegged to the U.S. dollar. When the price goes below the target, the supply will be contracted by selling bonds and burning tokens. When the price goes over the target, basis will redeem bonds with newly generated tokens. Just in case the protocol needs to expand supply at some point when there are no bonds available to redeem, it will also sell what it calls “shares.” If there aren’t any bonds to redeem when supply needs to expand, holders of shares will get them. And not to be U.S.-centric,the protocol allows for its users to change its peg. Speaking to Al-Naji, he seems to very much hope it will one day switch to something like a basket of goods and services rather than a fiat currency. Again, government already does this. In the U.S., officials maintain the Consumer Price Index (CPI) to assess what’s happening with prices. The CPI is a basket of goods that gives officials a sense of how much a dollar can buy. It’s a simple concept, but as this episode of Planet Money illustrates, determining the CPI is one of the more time consuming, complicated and secretive things the government does.